Our crew of Jungle destroyers: Chase, Tom, Steve, and Mike. And our bulldozer- about $1000/day! 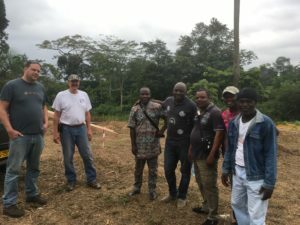 MAG’s national church partner in Gabon, EACMG, is embarking on an ambitious construction project on 65 acres of property, just outside of the capital city of Libreville. Their desire is that the social works of the campus will demonstrate God’s love to the country’s largest population region, in Word and in Deed. 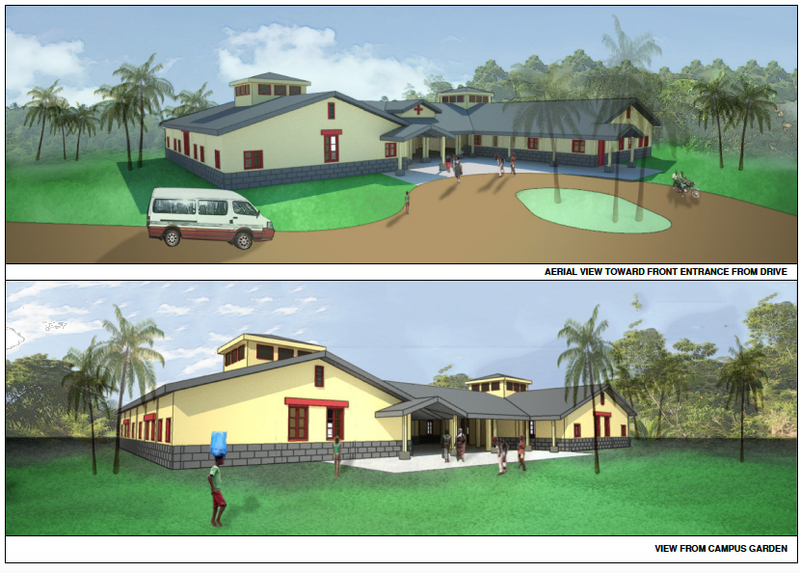 The campus will feature a hospital, schools, chapel, career training, homes for widows and at-risk children, as well as agriculture and fish-pond training. Facilitating, as liaison to international partnerships, are our good friends at E4 Project. The church has asked MAG to assist with the construction of a runway and involving nationals in the on-going aviation work, which involves training. So, at our stateside base in Burlington, NC, we are pioneering our apprentice pilot training and finding research that, in the developing world, the apprentice training approach is very effective. Perhaps Gabon will be where we can duplicate our state-side program. The airstrip will be a complementing piece of the campus- to support transportation logistics, connecting the people and resources to come into this campus as well as when they need to go out (ie. medical evacuation to a larger facility). Engineering Missions International partnered with EACMG to create the site design (see images above). Men from local churches came to work with us as well. Despite some language and cultural barriers, our brotherhood in Christ was felt. Our desire with our work is to always complement the work of the local church and encourage them- always doing work WITH one another, and not FOR each other. So, in the end, this is a “DIT”- Do It Together project; not a “DIY”! 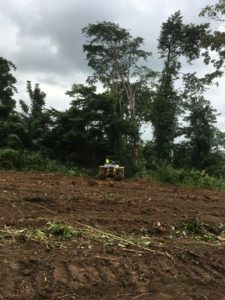 The dozer did AMAZING work- clearing out the most dense portions of the jungle- the Western end of the airstrip. There is approximately 3 days of dozer work left for the initial phase of clearing, which will cost $3000 for the equipment alone. MAG plans to complete this work on the next partnership trip to Gabon in 2018. In the meantime, the local church workers will be clearing a bee hive we stumbled upon (OUCH!) as well as asking the neighbors if we can take down some of their trees at the ends of the airstrip. Thank you for your prayers and support! We can only do it with your teamwork. If you would like to support the work on this project in Gabon, please visit our donate page and select “Support a Specific Program”, then “Gabon Air Ambulance”.